Among the criticisms of the selfie stick, the tide pod phenomenon and the infamous days of Pokemon Go, there remains one millennial stereotype that outshines the rest: the desire for clean, healthy, locally-sourced meals, specifically in larger metropolitan areas. 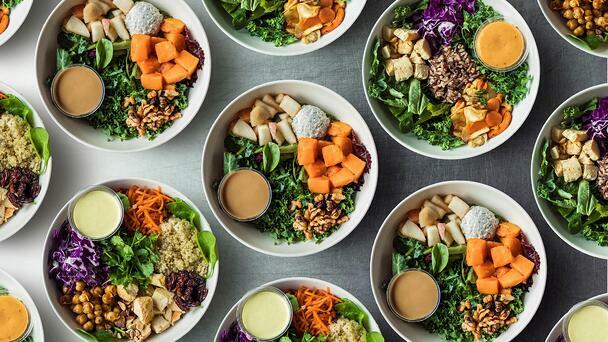 Enter Salata, Just Salad, and Chopt: just three examples of many nutritious, vegetable-dense salad chains that are taking the fast-casual industry by storm. Rather than being competitors of well-known brands like Chipotle or Panera, these (expensive yet trendy) brands are each other’s biggest rivals, with Sweetgreen remaining at the forefront. Founded in D.C. in 2007, the chain has raised upwards of $100 million, opening 20 new locations alone in 2017. From their fresh, seasonal ingredients to their hip and trendy digital presence, these arguably overpriced salad phenomenons can be found on practically every NYC street corner, but whether or not they all deserve a seat at the table is still up for debate. Regency Centers has one Chopt location at Raleigh's Cameron Village shopping center.